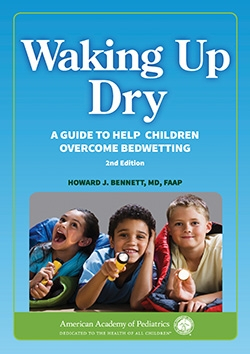 Dr Bennett's Waking Up Dry Program has helped thousands of children overcome bedwetting. The new edition is a thoroughly updated, comprehensive self-help guide for parents caregivers and children (6 to 13 years). As he walks readers through his Waking Up Dry Program, Dr Bennett includes lost of practical advice about defeating this common but vesting problems. He includes stories from his patients to help keep kids engaged and motivated to complete the program successfully.